When do you put the latest version here? Please, can you make that the versions are the same here like on your webpage, so I can download the latest from here? There's a button "Don't show again for this update" for a reason. And no, the downloads here will always come out a bit later than elsewhere. Not as late as it was this time though. Sorry for that. I have a "schedule" to update the mod elsewhere on Friday and update it here on Monday, though I'm bad at following it lol, will try my best from now on. Ok, that's fine then. Thanks! Hi, I noticed that with the Misty World Mod, the grass appears gray on the minimap and the world map. And with the Building Bricks Mod, the grass half slabs that generate in the world appears as a pale green instead of the normal grass color. Is this able to be fixed? I don't know if I remember correctly, but last time I checked the Building Bricks mod was coded in such a way that it was impossible to get it to work with the minimap. The block textures are decided by the mod on render instead of being implemented into models. Pretty weird approach, if you ask me but it works fine on it's own. Either this or I have fixed it but the issue came back. I'll check both mods. Could Xaeros please move the config files out of the mods folder over to local or something? Because if you update through an auto-updater (such as Twitch/Curse client) it erases the Xaeros folders out of the mods, and you lose all the waypoints. Didn't know that. Thanks for letting me know! EDIT: I just updated the mod with Twitch and all my data is still in place. Do you update all mods at once or something? Are you sure the folders are gone? Updating individual mods is no problem. It's when update an entire pack, it rewrites the mods directory. 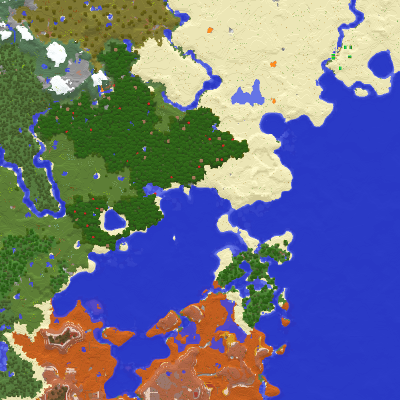 Yeah, was about to post the same thing, whenever someone updates a modpack that includes this minimap, the files under mods get removed. Okay, interesting. I guess I'm moving the files again. This will never end lol. How does this even make any sense? Isn't there an option to not clean update? It's out on my personal site, updating it on Curse tomorrow. It doesn't work on the latest forge version forge-1.12-14.21.1.2387, just letting you know. EDIT: Tested and it works for me. Do you have other mods installed?